Catalogue Number: Eduard Kit No. 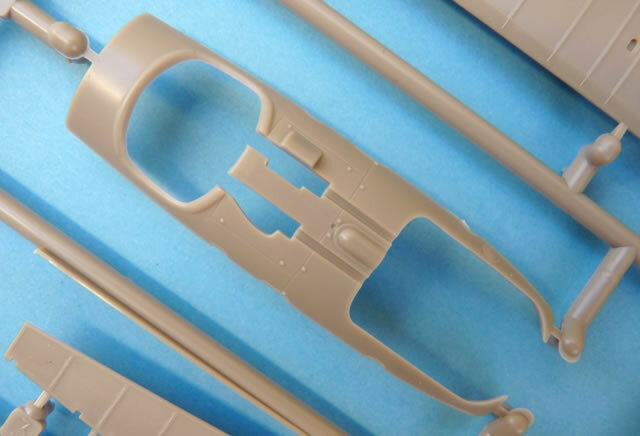 8415 - Albatros D.III Oeffag 153 "Weekend Edition"
Well moulded parts with no sink marks or ejection pins marring the finished product; sharply defined detail; excellent overall accuracy; decals with perfect registration and minimal carrier film; inclusion of stencil data. Initial types were powered by the Daimler 185 hp engine and eventually culminated in the improved 225 hp version in May 1918. 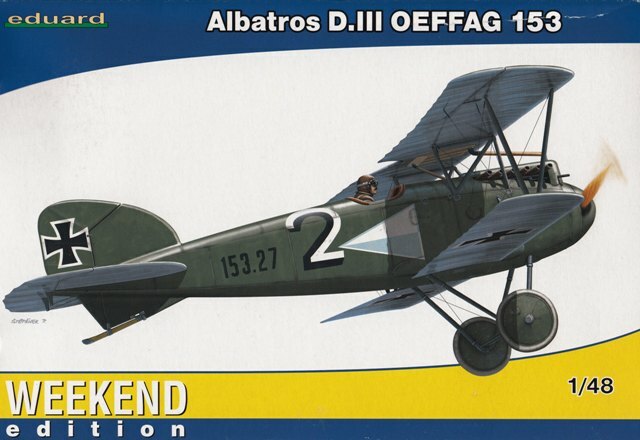 This release represents the Albatros D.III Oeffag 153. It was only a matter of time before this excellent kit was presented as part of the “Weekend Edition” range. 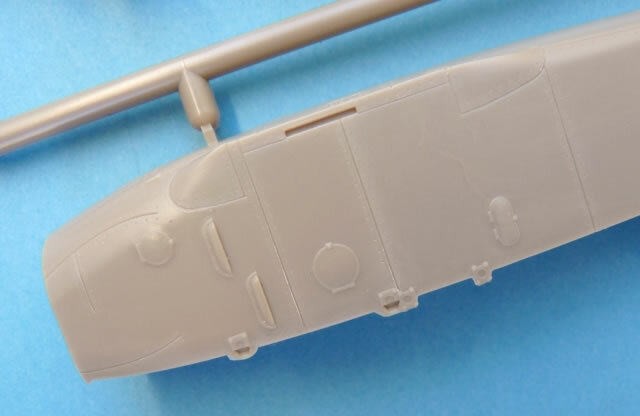 By omitting photo etched parts and complicated colour schemes, the modeller is able to build a subject quickly, easily, and with a minimum of fuss. 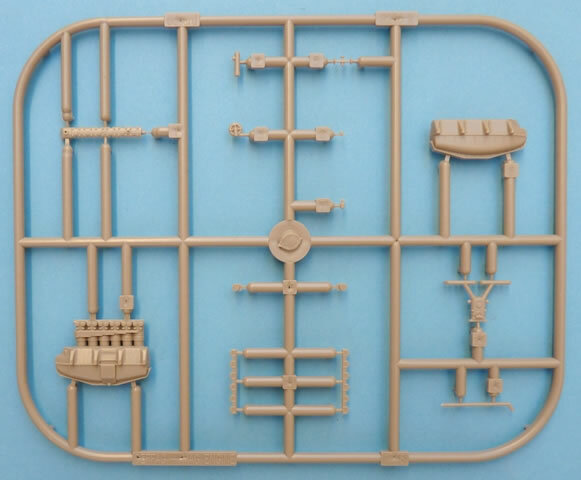 Inside the box we get the familiar set of 5 high quality sprues that accompanied previous “Oeffag” releases. As befits the “no frills” boxing, there are markings for only a single aircraft on the well printed decal sheet. Construction starts with the engine and this 14 part assembly is the same competent design we first saw in Eduard’s Fokker D.VII (MAG). 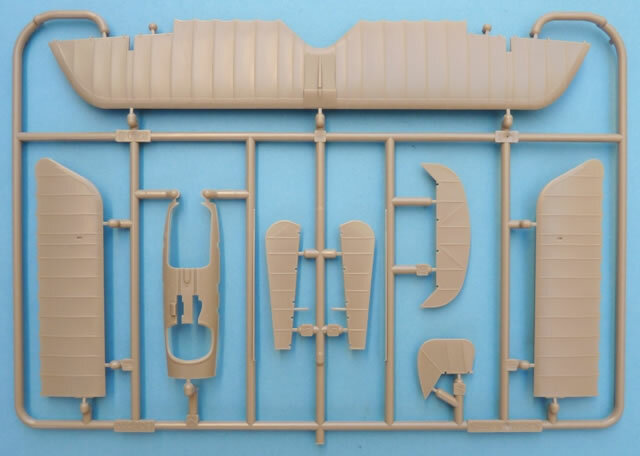 Some moulded structural detail can be found on each of the inner fuselage halves and to this is added a further 24 items to complete a nicely detailed cockpit area. An impressive assortment of instrument faces can be sourced from the decal sheet but those wanting seatbelts are best directed towards this manufacturer’s photo etched accessories. 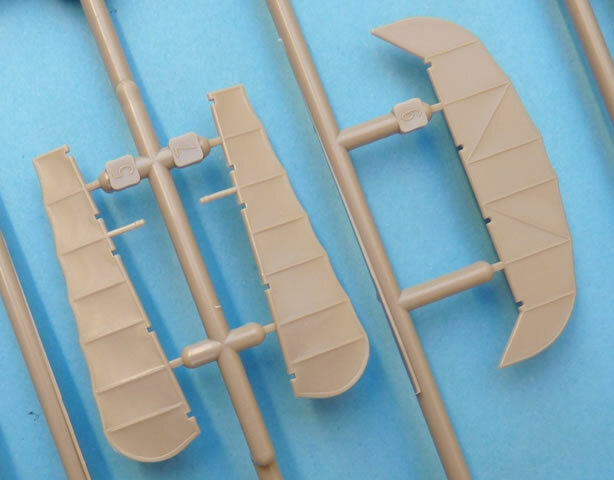 The wings are a good example of the high quality of engineering seen throughout the product. Here we see a subtle representation of the stitching which can be found on each of the well defined flying surfaces. Also present are the ply formers along the leading edge and the strips around the trailing periphery. These areas really show the level of research that has gone into this kit. Rudder, elevator and ailerons are all separate parts with the latter having moulded on actuators. This makes animating your subject a breeze. Kudos should also be directed at Eduard for including the characteristic “washout” to the ailerons. 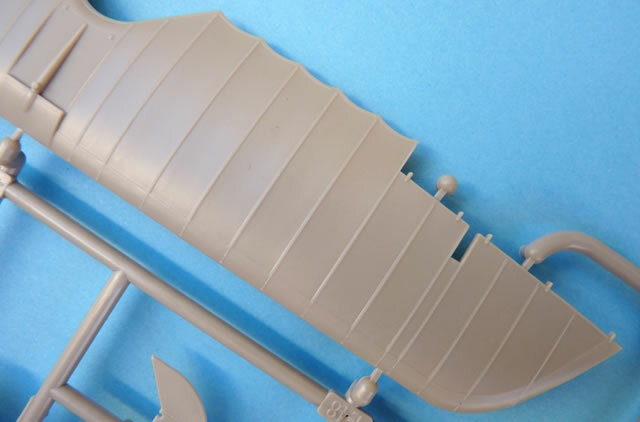 The radiator will pose no problems either as this has been skilfully incorporated into the upper wing. Elevator control horns were catered for as photo etched parts in the earlier “ProfiPACK” releases. Sadly there are no plastic substitutes included here and cunningly the instructions do not show any of the associated rigging in this area. 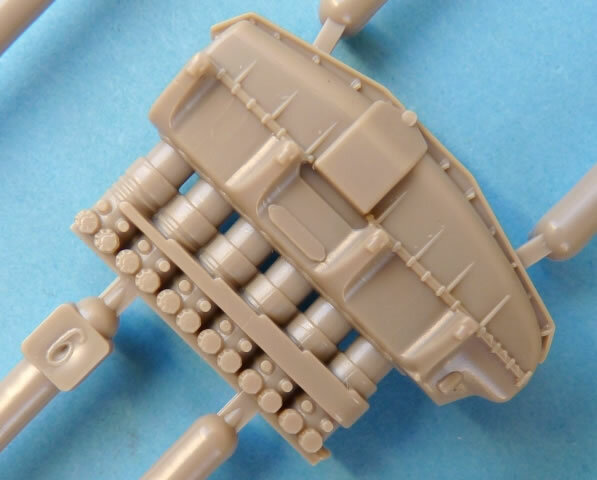 All of the smaller items carry the same sharp, crisp detail that is found elsewhere in the kit, with the struts, undercarriage legs, and wheels being particularly well rendered. This allows them to be priced competitively compared to other releases. 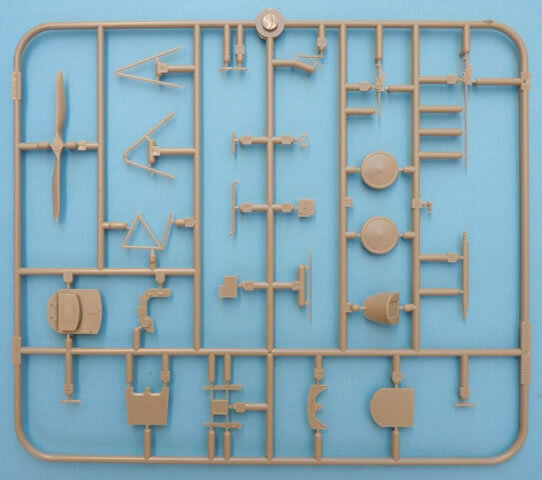 The result is a “no frills” kit that provides for a quick and simple build while still allowing the modeller to produce a quality result straight from the box.